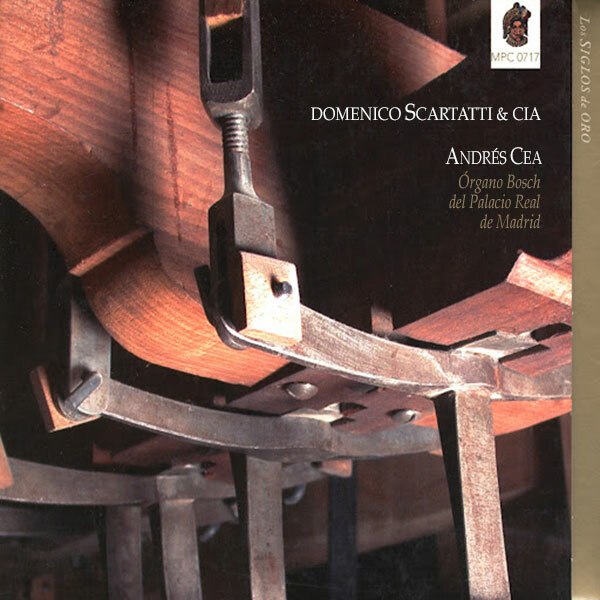 Domenico Scarlatti & Cia. 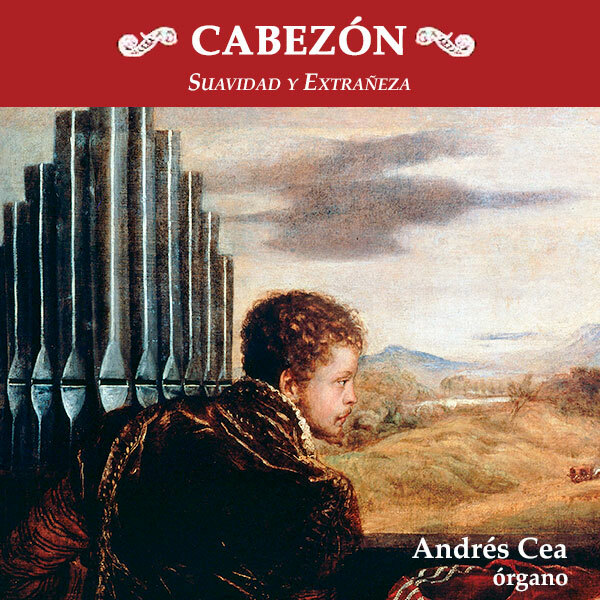 Andrés Cea. Sello discográfico Lindoro. 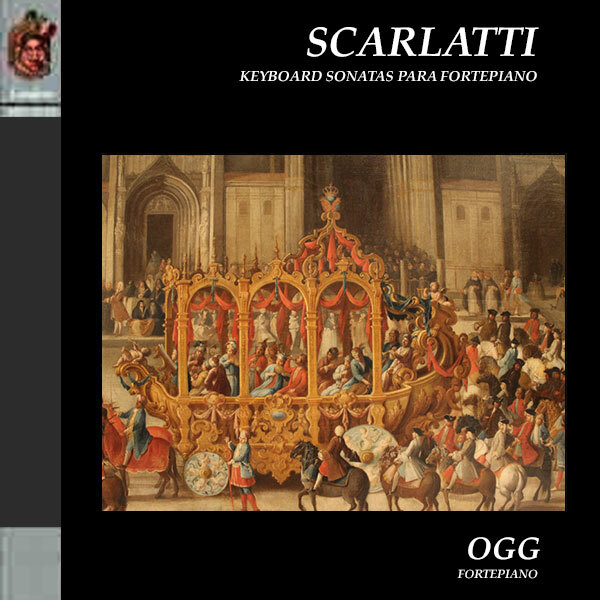 Works by D. Scarlatti, J. Lidón, J. de Nebra y Joaquín de Oxinaga. Fuga sexta, sobre “Sacris Solemniis”. Sonata K. 177 re mayor, andante. Sonata K 92 re menor, [sin indicación]. Sonata K 434 re menor, andante. Sonata K 372 sol mayor, allegro. Sonata K 87 si menor, andante. Sonata K 213 re menor, andante. Sonata K 66 sib mayor, allegro. Sonata K 481 fa menor, andante e cantabile. Sonata K 58 do menor, fuga. Sonata K 185 fa menor, andante. Sonata K 384 do mayor, cantabile andante. Sonata K 343 la mayor, allegro-andante. Fuga segunda, sobre “Quem terra”. 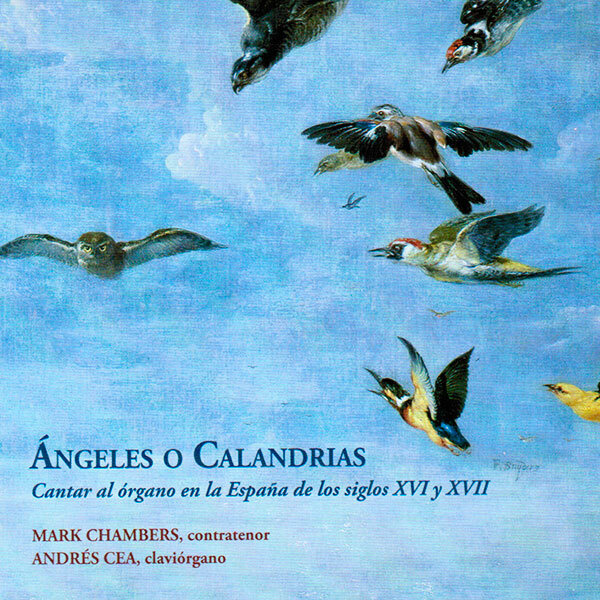 Recorded in the Organ Bosch of the Chapel of the Royal Palace in Madrid. Sound: Guillermo Martín-José Mª Martín Valverde. Production: José Mª Martín Valverde. In the first few months of 1756 Leonardo Fernández Dávila, the master organ builder, set up the workshop to build the organ for the Chapel of the new Palacio Real in Madrid. Master Dávila calculated some two or three years to complete the task which, however, was delayed until the end of 1759. Once the organ was completed, all its parts had to be placed in store awaiting assembly as the works of the new chapel itself were still unfinished. This continued until 1771 when, once the chapel was finished, Dávila asked permission to install the instrument. The assembly of the organ began in February of that year but Master Dávila died just two months later without seeing his work installed. According to one document from the architect Sabatini, Dávila assigned on his deathbed the Majorcan organ-builder, Jorge Bosch, as his successor. He considered him the only person capable of completing the instrument in construction successfully. Bosch had taken part in the building of the organs in the cathedral in Granada, which Dávila had built in the years 1744 to 1749. Negotiations to bring Bosch over from Majorca were taken up immediately but, as he had to finish assignments undertaken in the island, his arrival at court was delayed further until May 1772. Once in Madrid, Bosch wrote up an entire report and inventory which described the parts of the organ already completed, those assembled, and those as yet not in place. In the light of the archive material, Leonardo Fernández Dávila had foreseen the construction of an exceptional instrument, albeit on the same lines as those undertaken some years before for the organs of Granada and Elche. 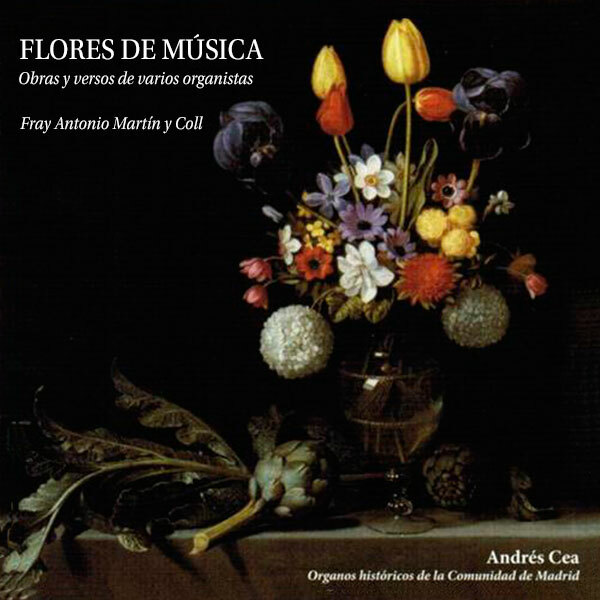 In his project Dávila makes plain that “several of the registers mentioned are of my invention, as a result of which the experts will be taken aback, both as regards to their names and their assonances”, and he goes on to explain that “this organ is a composition of two design systems, the Spanish and the Italian, wherein many registers will have differing names on account of the languages used but, in substance, will be the same both in Italy and in Spain”. Naturally Dávila’s project had been offered for approval to several masters in the subject and, above all, to Francisco Corselli, the Chapelmaster of the Capilla Real, and to José de Nebra, First Organist and Vice-chapelmaster. Nebra makes haste to say “all the registers mentioned in it that I have heard of are useful, necessary and well-sounding…..Of those he mentions as his own invention, I cannot say as much without further unequivocal information”. Would the Court also have sought the opinion of Domenico Scarlatti concerning the project to build this instrument in the Spanish-Italian style?. In 1772, when Jorge Bosch takes up the work on this organ, José de Nebra and Domenico Scarlatti had both died, as indeed had Fernando VI and Bárbara de Braganza, the royal couple who had fostered the initial project. Perhaps for this reason Bosch does not limit himself to assembling Dávila´s organ but, without taking apart what was already built, he redesigns it to his own liking. Thus the completion of the organ is further delayed until 1778.